GENERAL INFORMATION Quick facts about the Markham Waxers Hockey Club and Markham Centennial Centre, the home of the Waxers. HISTORY Over 60 years of Junior hockey. Why are they called the Waxers? COMMUNITY The Waxers are proud to be citizens of Markham. ALUMNI SECTION A special section dedicated to the young men that wore the Waxer sweater. 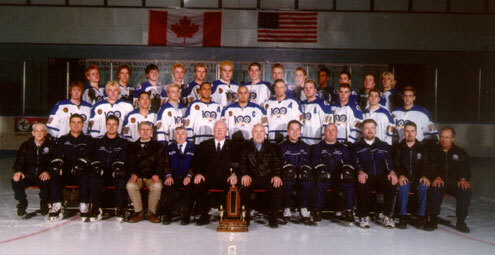 100 YEARS OF HOCKEY Details behind the 2002-03 Anniversary Season.